Tom Crean honoured on Norwegian’s Boening 737Max. Recognition for Ireland’s Unsung Hero. 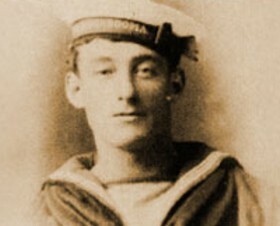 Born near Annascaul, County Kerry in 1877, Tom Crean enlisted in the Royal Navy aged 16, quickly becoming recognised as an accomplished sailor. In 1901, a chance encounter with Robert Falcon Scott saw Crean join Captain Scott’s ship ‘Discovery’ for a voyage of exploration into the unchartered realms of Antarctica. Like all the crew of Discovery, Tom Crean was a complete novice, in this freezing, white new world. However he soon established himself as a most valuable member of the pioneering endeavour, excelling in the newfound arts of sledging and man hauling. Crean so endeared himself to Scott, that the Captain promptly recommended him for promotion, upon their return home, and asked that his entire expedition payments be back paid, to reflect his new position of petty officer, first class. He returned to the comparative drudgery of regular Navy duty, based in Chatham, Kent. In 1906 Scott requested that Crean join him on Victorious, and the two would continue to serve together, from that point, until the day they parted company on Antarctica’s polar plateau, on January 4th, 1912. 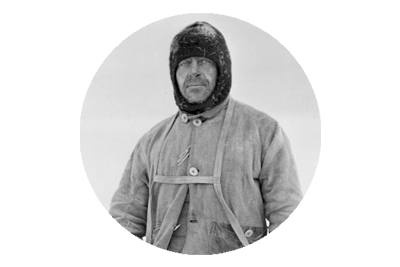 That was on Scott’s Terra Nova Expedition (1910-1913), where Crean’s epic solo march, at the end of a 1,500 mile trek across the Antarctic wastes, would earn him the Albert Medal for Lifesaving. Tom Crean, Bill Lashly and Lt. Edward Evans bid their farewells to Scott and his polar party, 150 miles from the South Pole. They had been selected as the last supporting team, and would return to base, whilst Scott continued southwards with Wilson, Oates, Bowers and Edgar Evans. The five men reached the pole, only to discover that Amundsen had preceded them there, a month beforehand. All would die in wretched circumstances on their return march. As the last support team made their homeward trek, Edward Evans’ condition gradually deteriorated; the consequences of which escalated from him being unable to assist in man hauling, to finding himself strapped onto the provisions sledge, being dragged forward by Lashly and Crean. Over the course of the final 100 miles, the two exhausted men did everything in their powers to get their scurvy stricken Lieutenant to safety. 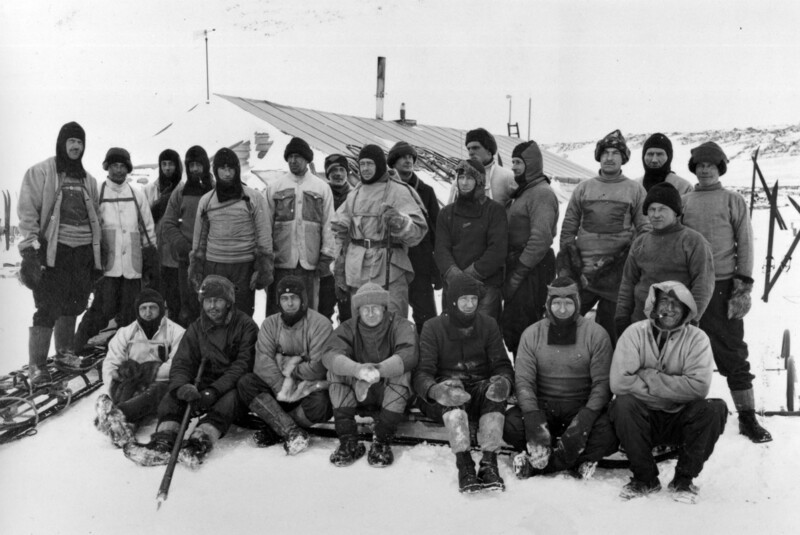 But as they weakened, their progression slowed, and 35 miles from Hut Point, they thought their friend had died. Evans would later recall how Crean’s warm tears fell onto his face and revived him, as the distraught Irishman wept over him. Buoyed by the partial recovery in Evans, Crean volunteered to walk the remaining distance to base, and raise rescue, whilst Lashly would remain with the patient. Sustained only by a couple of biscuits and a piece of chocolate, Crean completed the perilous trek in 18 hours. The expedition’s doctor, Edward Atkinson, and the Russian dog handler Dimitri Gerov, mounted a rescue mission, returning with both men alive. Edward Evans, later to become 1st Baron Mountevans, would make a full recovery and always humbly remembered the gallant efforts of both Crean and Lashly, in saving his life. The Terra Nova Expedition – Tom Crean sits in front row, right. 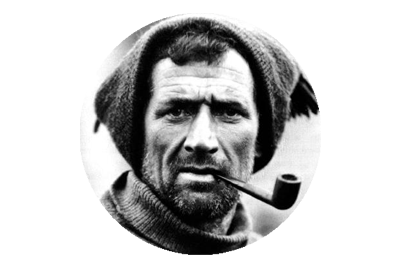 Within a year of returning from the Terra Nova Expedition, Tom Crean had been recruited by Sir Ernest Shackleton, for his Imperial Trans-Antarctic Expedition (1914 – 1917). Again the Irish Giant would prove himself to be a most invaluable asset, to an Antarctic campaign. 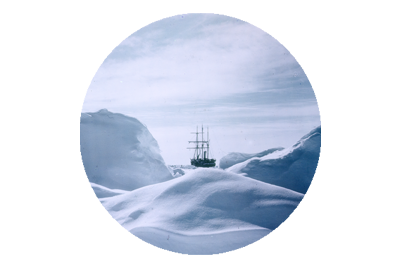 After their ship Endurance, was trapped in, and ultimately crushed by the ice of the Weddell Sea, the 28 men eked out an existance, surviving on the drifting ice floes. Their escape from the clutches of certain death, is an unbelievable tale of their collective determination, endurance, bravery and utter proficiency, tinged of course with a little luck! A dreadful seven day voyage in the ship’s three lifeboats, to Elephant Island, would see the men stand on land, for the first time in 497 days. Soon all 28 men were at sea again, as they were forced to move camp to Cape Wild. It may have only been a 7 mile journey, but any passage in the churning southern ocean, was fraught with danger. From Cape Wild, Shackleton, Crean, Worsley, McCarthy, Vincent and McNish would complete the greatest open boat journey ever undertaken. 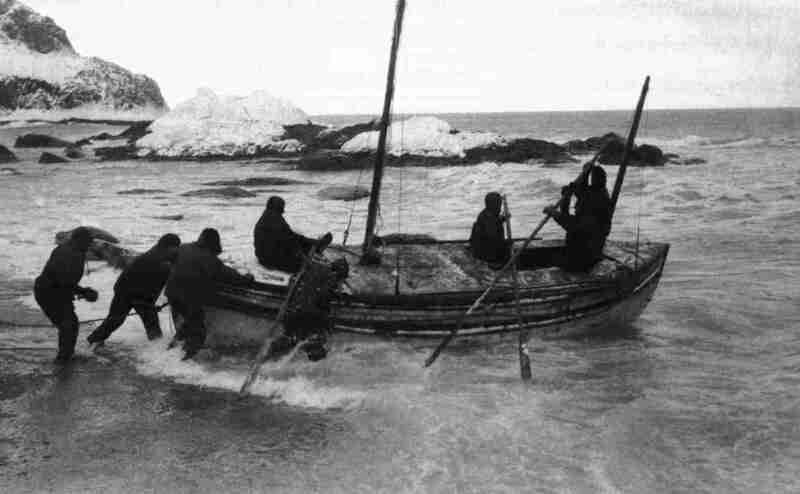 The Voyage of the James Caird was an 800 mile, 17 day crossing of the notorious Weddell Sea, in a mere lifeboat. That they survived the constant battering of the ocean, thirst, hunger, cold and a violent hurricane, is quite frankly unfathomable. But they did. Their next obstacle was the unchartered and untamed interior of South Georgia. Having landed on the wrong side of the island, Shackleton, Crean and Worsley had to traverse peaks, crevasses and glaciers, to reach the whaling station at Stromness. From here the seeds of rescue, for their stranded companions, were sown. 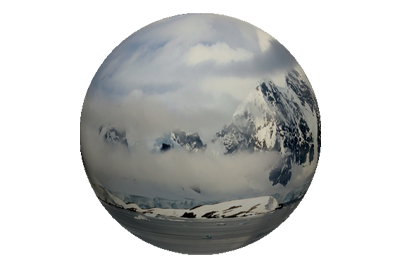 It would take many months and many failed efforts, but finally on August 30th 1916, the three men, aboard the ship Yelcho, were afforded passage through the ice that encapsulated Elephant Island. 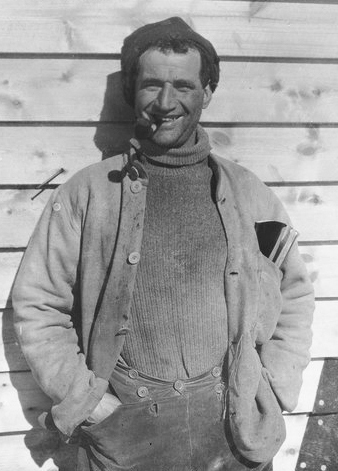 Tom Crean was the only member of the expedition to take part in every aspect of the escape from the ice, and subsequent rescue. Whilst he was joined by Shackleton and Worsley, in completing the escape, when arriving at Stromness, Crean’s inclusion in Frank Wild’s exploratory first voyage to Cape Wild, in the Stancomb Wills, is what sets him apart. The news that Norwegian are to honour Ireland’s unsung hero is tremendous. It is rightful recognition for a righteous man. Tom Crean was not just a hero to his expeditionary companions, he was a friend, of immense character, who always instilled belief, such was his unwavering calmness in the face of every danger they faced. He was loved, respected and greatly admired by all who served with him. That Crean has yet to be honoured fittingly, by his own country, is truly disappointing. Dismaying in fact, that a man of such stature and accomplishment, is not afforded the national recognition he deserves. No doubt it is a time for reflection, for the board of Kerry Airport, who recently balked at the proposal of incorporating his name, in tribute; following a hugely popular social media campaign by Ireland Should Honour Tom Crean. And no doubt it is a day to celebrate the memory of the great man, who has finally achieved recognition, befitting of his caliber. It is a proud day for the Crean family, to finally see Tom not just honoured, but remembered. For that we can thank Norwegian! There is currently a campaign underway to honour Tom Crean by naming an Irish Navy vessel in his honour. Tom Crean’s granddaughter Aileen Crean-O’Brien has recently been adding to the Crean family story by recreating his expedition on the sub-Antarctic island of South Georgia – read more here. The new transatlantic routes will be operated on brand new Boeing 737 MAX aircraft – Norwegian is the European launch customer for this state-of-the-art new aircraft. Tom Crean will be one of the first tail fin heroes to appear on the new MAX aircraft.